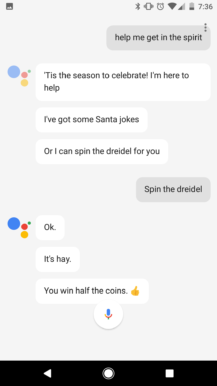 Google has added a few entertaining Easter eggs to Google Assistant since its release, including fully interactive quiz games. 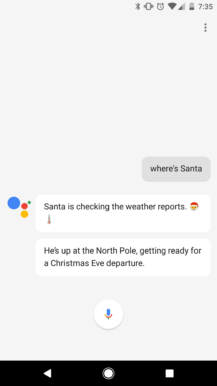 In the spirit of the season, a few new holiday-related commands have made their way to Google Assistant. Google's famous Santa Tracker has been integrated into Assistant, allowing you to check in on his location by asking "Where's Santa," or "Track Santa." It only provides a text answer instead of the full map of the desktop site (or mobile app), but it's still fun. 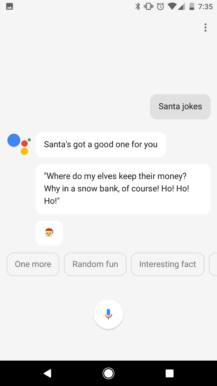 Next, Google has added several Santa jokes to Assistant. Asking "Tell me a Santa joke," or "Santa joke," will play a random Santa-related joke with a voice-over from Santa. Some of the recordings are hilarious - for example, in the above Snow bank joke, a child can be heard in the background asking Santa where the money is. 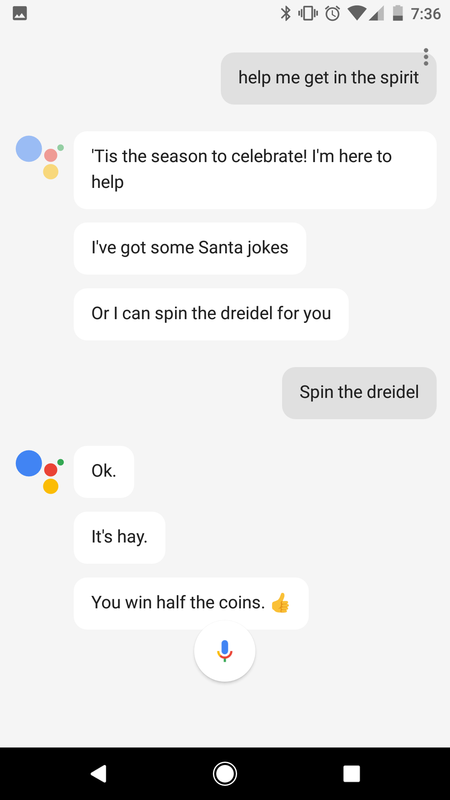 Finally, if Hanukkah is more your style, you can even Ask Santa to spin the Dreidel for you. Surprisingly, all of these commands work in all variations of Assistant - the Pixels' version, Allo's Assistant, and Google Home. 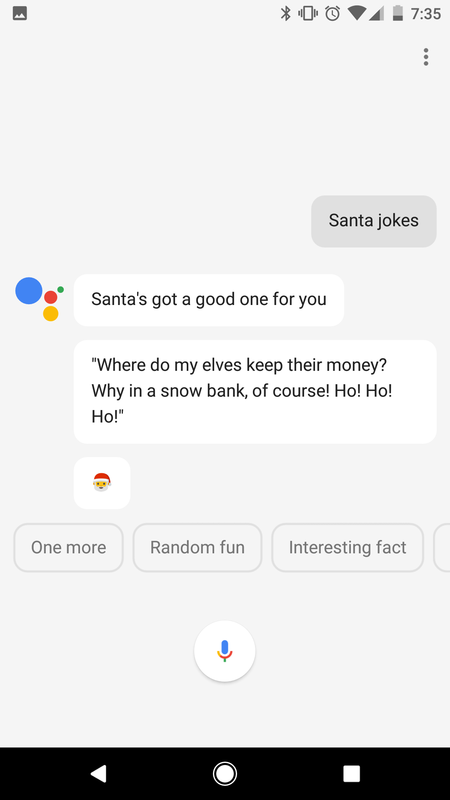 Allo will only display a link to the Santa tracker site when asked where Santa is, but that's the only variation.